We’ve been working hard these past couple weeks on a handful of features and enhancements designed to make your lives a lot easier. 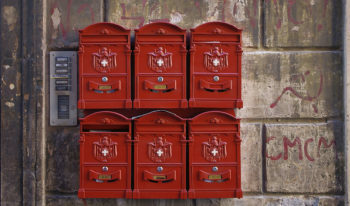 Our latest update protects your Groove mailbox from spam by stopping more spam automatically. Groove now allows for SpamAssassin headers added by customer servers, and we’ve also implemented the Spamhaus Domain Block List to identify spammers before they can reach your inbox. The DBL is managed as a near zero false positive list, safe to use by production mail systems to reject emails that are flagged by it. The DBL includes URIs (domains/hostnames) which are used in spam including phishing, fraud/“419” or domains sending or hosting malware/viruses. This is especially useful for companies using non-Gmail support email accounts that don’t already filter spam. 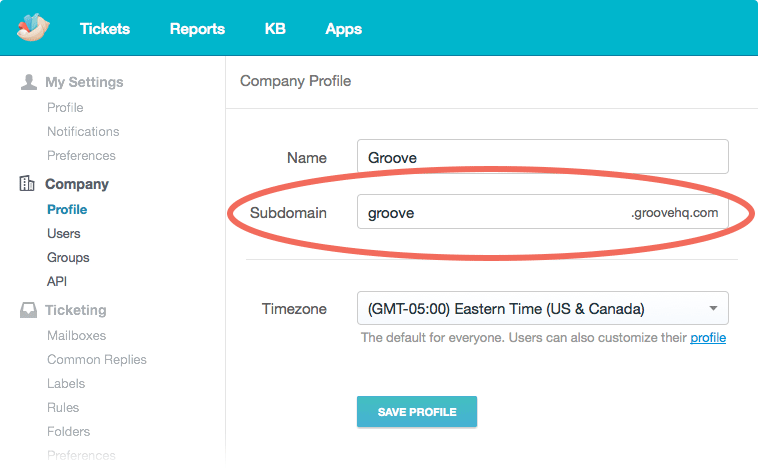 We’ve made it easy to change your Groove subdomain right from your account settings. This is great if your company name changes, you want to use Groove for a different product/brand or if you simply want to change the URL that your customers see when they visit your knowledge base. 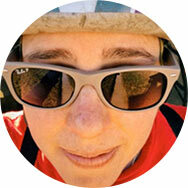 To edit your subdomain, simply head over to Settings → Company → Profile. White labeling your mailbox by setting up DNS records for your domain has been a tedious process. But no more! 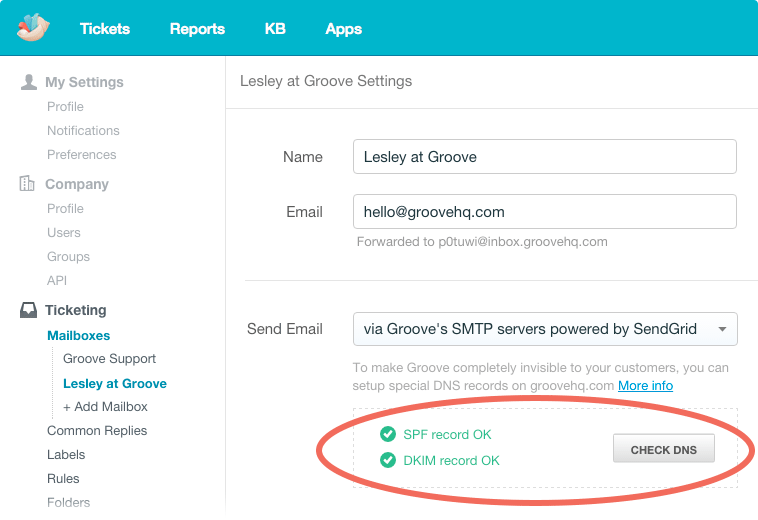 You can now check your own SPF & DKIM records in your Groove settings to ensure that your records are set up properly. We’ve also implemented a DNS check once per day that will confirm whether your DNS is configured properly. 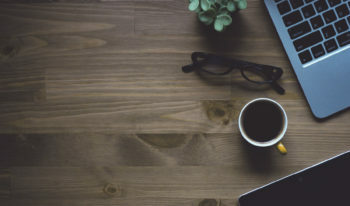 If the checker finds any issues with your DNS setup, Groove will automatically stop adding a DKIM signature (if it’s not in your DNS) to avoid having your emails marked as spam. This is one of those seemingly small things that actually makes a big difference for your workflow. 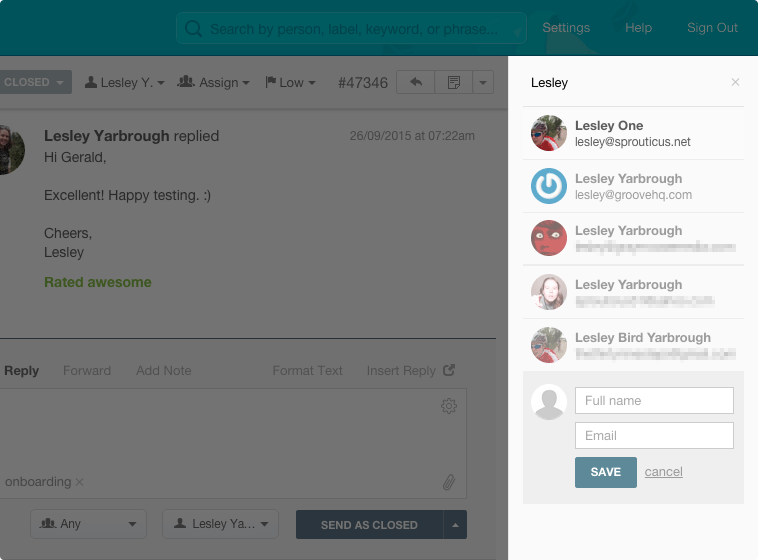 Now if a ticket arrives in Groove and you need to change or edit the contact details, you have the power to do so. Just click the contact dropdown in the top right of the ticket and you’ll see two options: Edit and Change. 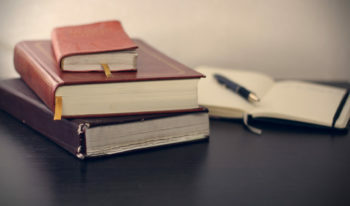 Editing let’s you can make changes to the existing contact, while clicking change allows you to completely change the contact details associated with the ticket. You can either search for the contact or create a new one from scratch. Our new collision detection makes it clear when one of your teammates is already working on a ticket. Worry no more about embarrassing duplicate replies or someone beating you to the punch while you’re still typing your reply (which was clearly more awesome.) Now you and your team can breeze through tickets with confidence knowing you won’t get in each other’s way. This new feature is perfect for those moments where you want to re-open a ticket at a later time, or remind yourself to follow up with a customer. Snooze gives you the option to pick a date and time to change a ticket’s status back to Open, if you have not heard back from the customer before then. To try snoozing a ticket for yourself, just click the “snooze” option at the top of the ticket and set your date & time, and voila! We’ve released a big update to how we sync folders in Groove. Now, the folder counts (the number next to each folder in the left sidebar) stay in sync across your entire team in real-time. That means that you won’t need to refresh to update the folder counts anymore. 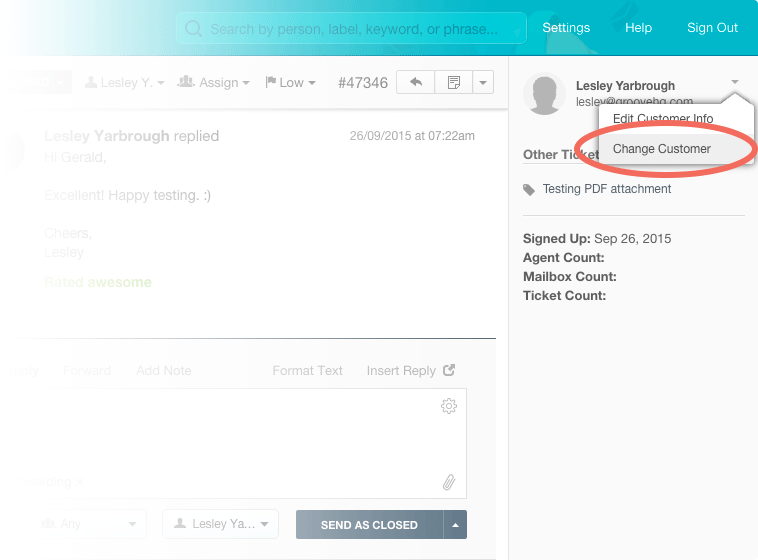 Even when two or more agents have Groove open, folder counts will update in real-time across all of your browsers. We hope you enjoy these new updates! As always, we’d love to hear your feedback – just email us at support [at] groovehq.com.